"It’s hard to look at the arc of the first season of Flaked in any other way. 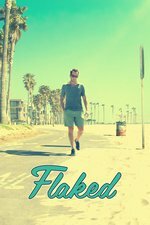 Along the way, Flaked does try to subvert some of the more familiar aspects of the sadsack male narrative that’s dominated TV for years, but even as the twists pile up and perspectives change, the ultimate result is that Flaked adheres to a typical story, and one that’s not particularly well told. “Sunset” sees everything come to a head. Jerry, who’s pissed that Chip cost him $4 million, closes Chip’s store, London gets a moment with her fiancé, Dennis gets hit in the face, Chip’s secrets start to come out, and the hotel development plan moves on anyways, this time headed up by Topher."